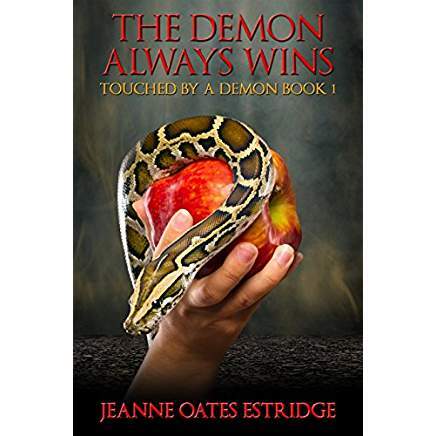 Regular readers of this blog will no doubt be aware that our Jeanne’s debut novel, The Demon Always Wins, is now available for preorder on Amazon and will be released for sale on 1 September. Squee! Because we spent a whole year in class talking about our stories and critiquing each other’s scenes, I think we all feel a certain sense of ownership of this book. We got to know Jeanne’s dark, snarky, funny voice. We saw her delete a fantastic opening scene only to replace it with one even better. We watched her polish her manuscript until it became a Golden Heart winner, and then take it up another level with the help of rigorous professional editing. The achievement is all Jeanne’s, but I can’t tell you how much joy I feel when I see this book on sale. It’s thrilling for me, and I’m sure the other Ladies would say the same. Even more exciting is the knowledge that there are more books to come, from Jeanne (her second book, The Demon’s In the Details, will follow before the end of the year), and Nancy, who said recently that her Too Clever By Half Victorian novella should be on sale in November, and Kay, whose Phoebe trilogy began life in class at McDaniel and is now in the works. It makes me even more determined to join the fun as soon as I can (next year! ), and I know Justine is also making plans. When the Ladies first got to know one another, in the summer of 2012, I doubt any of us thought it would take us so long to get to this point. At some dark moments during the following six years, I started to wonder whether we’d ever get here or at least, whether I would. Now, Jeanne has crossed the finishing line—or maybe a new starting line—and it’s an amazing feeling. This entry was posted in Goals, Inspiration, Persistence, Publishing, self-publishing, writing career, writing goals, Writing Life and tagged Debut Novel Celebration, eight ladies writing, Jeanne Oates Estridge, Jilly Wood, Kay Keppler, McDaniel College, Nancy Yeager, The Demon Always Wins, The Demon's in the Details, Too Clever By Half, Touched by a Demon. Bookmark the permalink. You just made me puddle up. It has been a long and tortuous road, hasn’t it? Linking arms with the rest of you has made the journey so much easier. Now my first book baby is standing on the threshold of the big, wide world, and soon all the other Eight Ladies will shoo toddlers out that same door and I can’t wait to see it happen! Thanks to you, in particular, Jilly, for all the feedback and propping up and cheer-leading along the way. I truly don’t know if I could have made it without you. And I definitely wouldn’t have put out as good a book..
LOL, I remember a very optimistic five-year plan as part of the marketing component in the spring of 2013. Oh, boy! “It’s a process” was a great slogan to live by! It’s extremely exciting to see things starting to come to pass, though!